Fire, flood, or other natural disaster turning your business completely upside down is something that no business owner ever wants to deal with. While disasters can cause significant disruption to your business, the damage and delays can be minimised with some foresight and planning. There are some really simple steps you can take in order to be prepared for the worst. From taking out business interruption insurance to having a clear plan to mitigate the damage, you can implement these steps today to ensure that you will be up and running again in no time. Let’s take a closer look at the ways in which you can prepare your business for the absolute worst case scenario. As the first order of business – if you haven’t done so already – create a clear plan as to what is to be done if a disaster should occur. Establish escape routes and ensure that fire safety equipment and first aid kits are up to code throughout the building. You should even consider training all or a subset of your employees in basic first aid. Make sure that your staff know that they are more highly valued than any materials in the office – minimizing the risk to human life should be the top priority. Concerning your business, make sure that you have duplicate copies of all important documents at an offsite location. This includes information for important contacts. These days, this step is fairly easy to accomplish by housing all work and documents in the cloud. Make a plan for how to re-establish your business from a new or temporary location. When disaster strikes, it is usually possible to reach out to your state government to apply for relief or assistance of some kind. Before heading down this route, be sure to know the true extent of the damage done to your business. Take photos which can be used to demonstrate what has occurred. Thankfully, this help is usually available when you need it most. Ensure that your business is properly insured to prepare for any possible disaster. 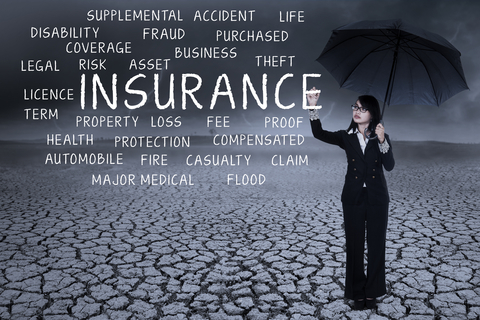 While most small businesses insure themselves against the obvious dangers, such as fire, there are some forms of coverage that are lesser known. Take business interruption insurance, for example. Fewer than 23% of small businesses in Australia have not even heard of this form of coverage and its usefulness in times of disaster is priceless. It can be used to claim compensation for a loss of gross profit caused by the disruption of your business. This can include coverage for wages for both owners and staff and other ongoing expenses. You should definitely consider it if your business is not easily mobile and cannot be restarted quickly from a new location. It’s usually sold as a component of property insurance but be sure to speak with a broker for more information. If other businesses or the community have also been significantly harmed by a disaster, assist with broader relief efforts to help others. While you will undoubtedly be busy trying to repair the harm done to your own facilities, you might consider starting a fundraiser to help your clientele. Be sure to maintain or re-establish lines of communication with your customers and let them know that you are back in business again. It is always better to be prepared than to panic and not know what to do in the aftermath of a disaster. Consider these strategies and tips to mitigate the damage and minimise the interruptions that can occur should the worst happen.